Statecharts constitute an executable language for modelling event-based reactive systems. 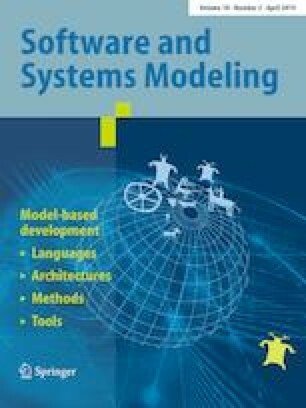 The essential complexity of statechart models solicits the need for advanced model testing and validation techniques. In this article, we propose a method aimed at enhancing statechart design with a range of techniques that have proven their usefulness to increase the quality and reliability of source code. The method is accompanied by a process that flexibly accommodates testing and validation techniques such as test-driven development, behaviour-driven development, design by contract, and property statecharts that check for violations of behavioural properties during statechart execution. The method is supported by the Sismic tool, an open-source statechart interpreter library in Python, which supports all the aforementioned techniques. Based on this tooling, we carry out a controlled user study to evaluate the feasibility, usefulness and adequacy of the proposed techniques for statechart testing and validation. We express our gratitude to Jordi Cabot, Simon Van Mierlo, Gauvain Devillez and Mathieu Goeminne, and several anonymous reviewers for providing comments on earlier versions of this article.